Jimmy attended the 2018 iHeartRadio Wango Tango by AT&T at Banc of California Stadium in Los Angeles on June 2, 2018. I’ve uploaded 5 HQ photos from this event to the gallery . “Westworld’s” James Marsden will star in Paramount’s live-action/animation hybrid movie “Sonic the Hedgehog,” an adaptation of the classic video game, sources tell Variety. The studio landed the film rights to the classic game in 2017 and tapped Jeff Fowler to direct. I’ve scanned the Autumn/Winter 2007 issue of Collezioni Uomo (Italy) Magazine and uploaded 16 high quality scans to the gallery. I’ve scanned the January 21, 2008 issue of NW (Australia) Magazine and uploaded 3 high quality scans to the gallery. I’ve uploaded HQ scans from the June 2018 issue of Men’s Health Magazine to the gallery. 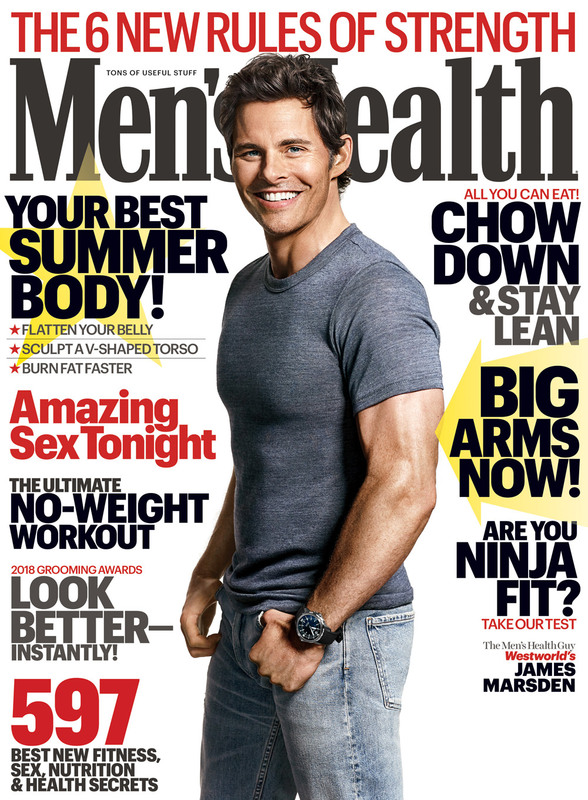 Jimmy is the cover guy for June 2018 issue of Men’s Health Magazine. I’ve uploaded 7 photos from the photoshoot to the gallery.